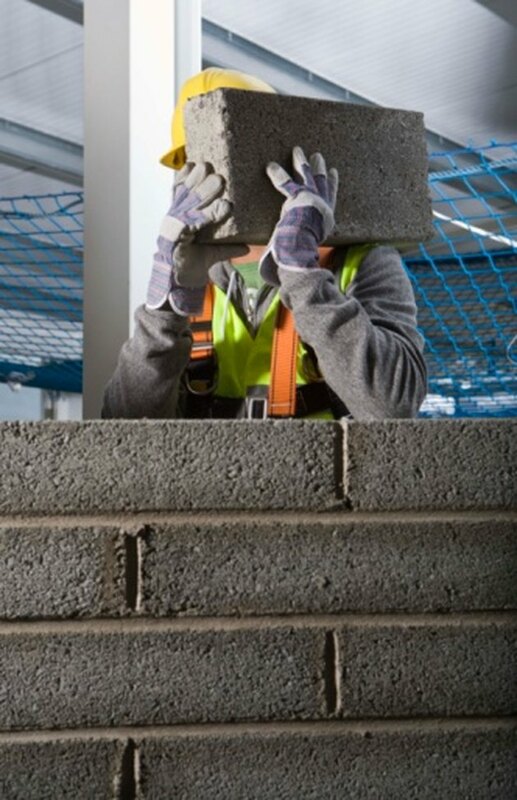 Bricks and concrete blocks are some of the oldest and most reliable of building products. Bricks were first used 5,000 years ago and were made from dirt using straw as a binder. Later bricks were made from clay and fired in a kiln to increase their durability. The history of concrete blocks dates back to ancient Greece and Rome, although they were not manufactured commercially until the early 20th century. Dating old brick and block is not a precise science, but there are a few things to look for. Bricks have been used for centuries to build homes and commercial structures. Examine the surface of the brick. Old bricks were formed by hand, so look for irregularities in shape. They should be slightly uneven and may contain straw. These older hand-shaped bricks are larger than the bricks made today, although never larger than a hand width. Look for an indentation on the brick's surface. Older bricks do not have a dent in the middle, called a frog. Instead, older bricks only have a lip at the edge to hold the mortar in place between the bricks. Look for a manufacturer's stamp on the brick's surface. Early bricks were brought to the U.S. from Europe, and many had a royal seal or the names of kings stamped onto them. 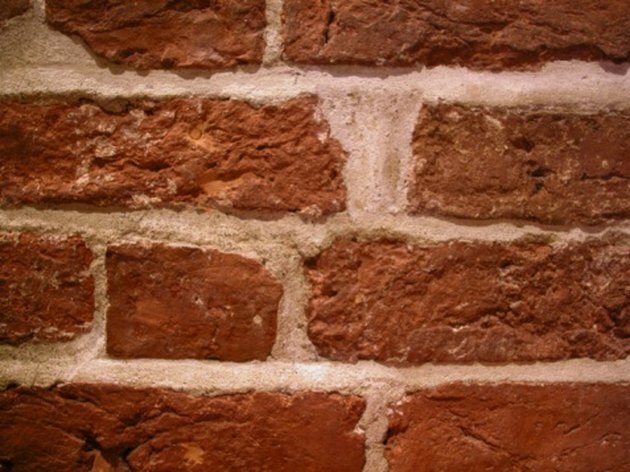 Bricks were not manufactured in the U.S. until 1611. Inspect the color and texture of the bricks. Variations in the color indicate that the bricks were fired in a clamp kiln, which was the earliest type of kiln to be used. If the bricks have ornamental moldings or glazes, these are indicators of manufacture and use during the Victorian era. Concrete blocks are an integral part of any home construction. Inspect the blocks carefully. The earliest types were pre-cast in a wooden frame and dried. These hand-formed blocks were used until the 1850s and are a mix of sand, cement, water and stone aggregate. Concrete blocks are highly absorbent, and the finishes vary greatly. Hand-formed concrete blocks will vary in shape slightly from one to the next. Look for a hollow core. Block of this type began being made in the early 1900s, when Harmon Palmer patented a machine to make concrete blocks. This development began the modern concrete block industry. Check the finish. The Sears Company sold a concrete block-making machine that offered a rockface finish on the masonry, which imitated quarried stone. It was the most popular finish for concrete block and became the industry standard in the era of 1910-1920. Later blocks have a smooth finish. Lift the block to test the weight. Newer concrete blocks are made from a light-weight concrete aggregate making them less dense than the older blocks.